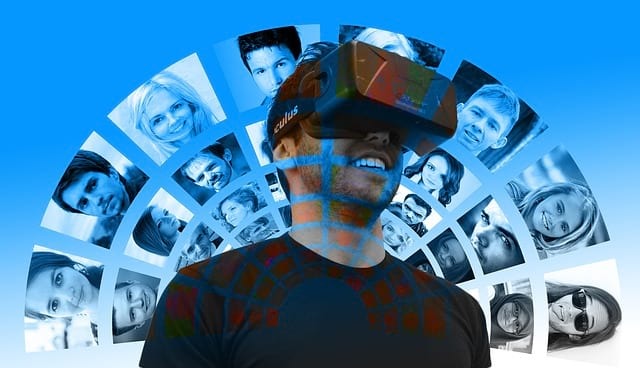 Although at the minute VR is primarily being used in the gaming and entertainment industries, they are becoming prolific within the computing and business world. Many people believe that there needs to be new strategies to break out of the current conventions and add something new, especially for the most forward thinking companies. This can be within interviews, training sessions and even business meetings. Although VR is more accessible at the minute, it could still be a considerably long time before it becomes fully assimilated into our everyday lives. The technology is only in its very early stages and has a long way to go. To gain traction in the market, it is key that companies focus their app development to focus on finding the most useful and practical ways to assimilate the technology into everyday life. Apadmi have a specialist team who assisted with the design of the first smartphone, so they are using their knowledge to make similar breakthroughs in the VR world. Although this is in the development stages, and hasn’t yet peaked public interest, it will be sure to be worth the efforts put in. Virtual reality offers the user the unique opportunity to see the world differently. It can take people all over the world to any destination, and people can escape and completely immerse themselves in the experience, whether it be in the jungle or outer space. Not only is this good for entertainment, but is key in helping with mental illness and educational purposes. This is due to it questioning your visual and auditory senses, and soon developers seek to introduce other senses such as touch and smell. The potential of the VR market is incredible, with approximations that it could reach a staggering $22 billion by 2020, with the potential growth being far more! Although at the minute the success has been slow burning, it is undoubtedly going to continue to grow as the technology develops and becomes more accessible in our everyday lives. This may take years, but it is likely to be worth it, regardless of a few uncertainties. It’s very interesting to look into the potential of something that is very new to so many of us. In the years to come, consumer interest is likely to grow as VR becomes far more mainstream. If you think it’s good now, you should be very excited for what’s to come.